← Slavery in the 21st Century??? One hundred and thirty-three years ago today, the Statue of Liberty came to our shores. Lady Liberty, a gift of friendship from the people of France to the people of America, arrived in some 200 cartons, in 350 pieces – rather like a puzzle to be put together. She was reassembled and dedicated the next year and would become known around the world as an enduring symbol of freedom and democracy. The Statue of Liberty once stood for something, but today when I read those words … “Give me your tired, your poor/Your huddled masses yearning to breathe free”, I shake my head, for they are a great hypocrisy. We no longer welcome immigrants, but rather abuse them, call them names, and take their children from them. 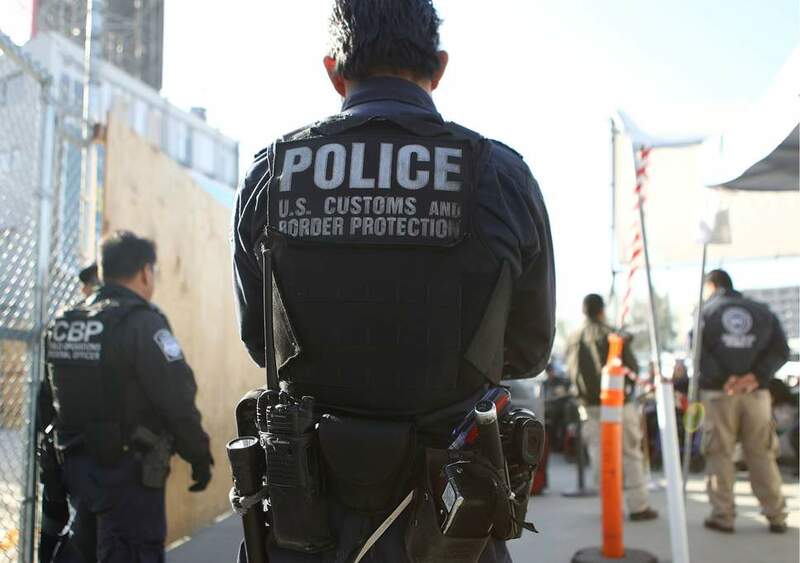 We are planning to spend tens of billions of dollars – enough money to feed those tired and poor for many days, weeks, perhaps even months or a year – to build a huge wall, the sole purpose of which will be to keep immigrants out. Here is how we greet immigrants today … With the exception of the Indigenous People in this nation, we are all descended from immigrants, but as time and generations have passed, we have become an arrogant lot, believing that somehow we are entitled to more, to better than others. We no longer welcome the “tired and poor”, but instead would choose, in the words of Donald Trump, “only the best and brightest”. Huddled masses? Oh no, throw them in jails and detention centers, humiliate them, berate them, beat them and even kill them. 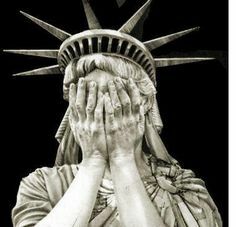 No, my fellow Americans, we no longer deserve the Statue of Liberty for we are no longer the ‘land of the free’, but rather the land of the wealthy. Only the wealthy are welcome here. If you or I were attempting to flee to the shores of the U.S. today, would we be welcomed and embraced? I think not, but then … I would not choose to come to this country today, either. Happy Father’s Day to all the fathers who have dedicated their lives to being awesome dads! This entry was tagged Ellis Island, Frederic-Auguste Bartholdi, Gustave Eiffel, History of Lady Liberty, ice, Statue of Liberty, treatment of immigrants, Trump's border wall. Bookmark the permalink. You are not alone. We too have no room for the wretched fleeing who knows what. We too have monstrous detention centres. But our government has realised we need some of those unwanted and unloved ones to run our country and is letting a few back in. When I see how humans have ended up behaving it makes me want to join the west wind and travel the world my feet never touching the ground. Ha. As if! Instead, I take a break from watching the news and it all gets worse. I don’t know how you can all cope, frankly, with that dreadful Man Who Shall Not be Named in the president’s chair. You do know we all sympathise, don’t you? Oh, if only I could join you in that west wind with feet never needing to touch ground. Have I told you that I plan to come back as a wolf in my next life? They are so much purer of spirit, much simpler. Yes, I know that the refugee crisis is not limited to the U.S., but this latest abomination of separating children from their parents has ripped apart the hearts of those of us who have hearts. And yes, dear sweet Mary, I do know you all sympathise and am deeply appreciative. You ask how I cope? More cigarettes, more wine … an occasional kick of a door or wall. And tears in my pillow when I finally drag my bum up to bed around 5:00 a.m. AH … I did not realize there was a ‘season’ for the digging by the archaeologists! Wish the professor well for me, and I will look forward to a long chat when things settle down for you. Meanwhile … hugs ‘n love, my dear friend! The incumbent in the Whitehouse by dint of a quirk in the voting system and the transitory fears of 36,000,000 amount to very little in the Scheme of Histories. Hold close to your own beliefs, ignore the fear mongers and keep your faith. These are testing times. They have been here before, and will as before be overtaken and subsumed. Denial is one of the most dangerous aspects of human nature Jill, couple that with the refusal (or fear) to admit you made a mistake in voting in the wrong man and folk can become remarkably difficult to convince otherwise. People almost become intimidated by the professional loud-mouths and hate-mongers as well as their acolytes. The true test will come in November, BUT, BUT it will require a solid, disciplined and astute campaign by the Democrats AND a lot of restraint by their supports, just one picture of two of three irate young anti-trump protesters turning on an elderly trump supporters will be leapt upon with indecent glee by his propaganda machine. What you say about November … that is so very true. I have been saying that we need “squeaky clean” candidates with no dark secrets hiding in their closets, for they will surely be discovered and aired over and over again. But I hadn’t considered the conduct of the ‘average Joe’. But you are right … the GOP will be just waiting for one misstep. However, you and I both know that it is almost a certainty that not everyone will behave themselves. Even in less tense times, there would be a few jerks on either side. But times are such now that I am always pleased when I make it to the grocery and back home without being embroiled in a battle! And the DNC needs to get busy … their promotions of their candidates appears sketchy and with no real purpose, no real plan. It almost seems to me that they are still trying to recover & regroup from the 2016 loss. I wish I had a better feeling about November, but in truth, I don’t see that ‘blue wave’ that everyone is talking about. We shall have to hope then that the movement comes ‘up from the ground’. Voting is essential this Nov.
Now they really don’t want to mess with that in a place like the USA. You are such a cantankerous bunch….look at the trouble we got in during the late 18th century! You with Trump us with Brextit…what a world-winning combination…..Ha! Ohhhhh … my head … I think I am full up of ‘world-winning’ … I honestly don’t know which is worse … Brexit or Trump. Perhaps we should take a poll? Ahhh … perhaps that is the best idea yet! I’m heartened by the backlash over the president’s policy of separating the children from parents seeking asylum at the US southern border. Peoples are up in arms over this. The president wants his hard-line immigration policies passed which shouldn’t pass but whatever the outcome, children should not be used as pawns. Lady Liberty has a few dents in her made by this president but if Democrats take back the majority position, maybe we can rescue her and salvage our reputation. Absolutely … every person should be up in arms over this! I hope he has finally crossed a line and that it costs him seats in Congress this November, but meanwhile, this abominable policy needs to GO! You are right … children are not pawns, not bargaining chips … they are INNOCENT children!!! Perhaps somebody should take his grandchildren away from their families so he and his ugly children can see how it feels. Due to the present leader in the White House, the Statue of Liberty is now a mockery. With one call the President could end this hideous “Zero Tolerance” policy. The buck stops with him this time. Thank you, Suzanne!!! Indeed, the buck DOES stop with him. – Innovation is portable; if we don’t grease the skids to keep innovators who go to school or recruit talent, the Innovation will occur elsewhere. I cannot argue against any of that. But I think that as long as Trump and his cronies are in charge, we will continue to treat people shamelessly, as liabilities rather than assets. The balance sheet doesn’t quite add up right at the moment, does it? It will change … I’m just not sure by what means, or when. It seems that both of us have our lovely Lady Liberty on our minds. The words of Emma Lazarus on the added plaque gave Lady Liberty a voice, that now many wish to silence and ignore. In view of current events…I should think that had she the ability, she would hike up her robe and stomp back across the ocean. One could hardly blame her. As a country that was built by immigrants, except the ill-treated Native Americans, one would expect far better understanding and acceptance. But, then again, do we not cross our hearts and pledge allegiance ending with the words…”with liberty and justice for all”?!? Thank-you! Yes, I think that for most of us, Lady Liberty, and the words “truth”, “justice”, and “equality” are not far from the center of our attention these days. I am hopeful … I believe … that we will take our country back … it’s just a matter of how, and when. I keep hoping that once Trump’s followers realize they have been scammed, they will do their part to help get this horrific ‘man’ out of the White House. Their lobotomies, however, seem to have gone deep. 😉 We’ll get there … it will only take time, I think. Sigh. Hugs!!! My bad on that one … thanks for the enlightenment. Admittedly I did not research the photo and its origins. P.S. – I have removed that photo. I think a notice should be posted over the Emma Lazarus poem, Closed for the forseeable future. Sorry, signed The Ashamed. Sadly as in other cases (namely the real story behind the civil war) America was never expressing empathy for ‘tired and huddled masses ‘ but inviting over a cheap labour pool easily exploited. Now Trump is bringing the national hypocrisy to the fore and high time. Now Americans can see their nation for what it is, giving them an opportunity to make changes and perhaps save their nation and themselves in the bargain . It won’t happen but it’s a thought. Perhaps it will … I must remain an optimist, for otherwise I will be nothing. If we keep it going, which can only be accomplished through great sacrifices (for example, think the Stalin years of the Soviet Union and the inevitable results), we delay the inevitable plunge into another dark ages, but from my understanding of history, we cannot prevent it. Which is the correct way to proceed? Either way great darkness accompanies the coming future. As a species we are takers, rarely fixers. We only know to take, despoil and move on, only now there is no “moving on” possible, even with “new and improved” technology or scientific miracles. Too little too late for we never accepted the fact that we should evolve from a crude predatory nature (the Donald Trump syndrome) into something more in keeping with the realities of our finite environment and its limits. Imperialistic, industrial and technological western civilization has made itself obsolete, painted itself into a corner from which it cannot escape. We are facing the end of our civilization as an entropic energy system. Many thanks, my dear friend! I would remind you of that adage used in much of English literature, “This too shall pass”. I believe that … I think. Hugs! It IS heartbreaking to see so much destroyed in such a short time. Will we ever get it back? I don’t know, but I hope so. Our best hope is getting people out to vote.